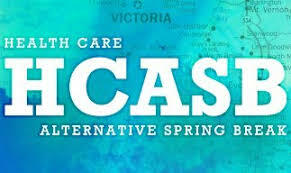 The goal of Health Care Alternative Spring Break (HCASB) is to provide pre-health undergraduates with the opportunity to learn about the unique challenges and characteristics of rural health care through first-hand, immersive experiences. During the UW Spring Break, teams of students will travel to a community in rural Washington state, and shadow healthcare professionals for four days (around 30 hours). This is a good opportunity for students who need shadowing hours or want to learn more about healthcare in underserved areas! Their trip Team Leader applications are currently open on there website at: http://hcasb.org/ . Participant applications will be open soon as well. This entry was posted in General Interest, Student Groups, Volunteer Opportunities/Service. Bookmark the permalink.